2nd Standard Studying Girl Child Raped By An Electrician Inside School !! SHOCKING !! Parents send their children to schools on the belief that they will be safe there with teachers and other saff. But an incident which has been reported from the national capital has raised some serious questions on the safety of children in schools. A class two student of a New Delhi Municipal Council (NDMC) school in Gole Market area was allegedly raped by an electrician inside the institute’s premises. The incident came to light when the girl narrated her ordeal to her parents after returning from school on Thursday, a police official said. The accused, identified as Ram Asre has been working in the school for around a month and is a permanent electrician employed with the NDMC. “During the initial probe, it was found that Asre after school hours took the victim to a pump house where he sexually assaulted her. He also threatened her not to tell about the incident to anyone,” Deputy Commissioner of Police Madhur Verma said. He has been arrested and a case has been registered against him under the relevant section of the IPC and under the Protection of Children from Sexual Offences (POCSO) Act. 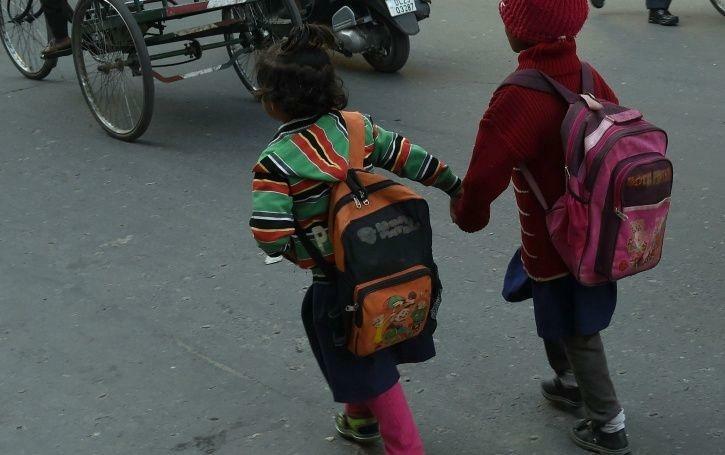 Following the incident, the Delhi Commission for Women on Friday issued a notice to police and school authorities. Previous article“Mahat’s Girlfriend & Yashika Themselves Has No Problem, What Do You Care ? ?” Asks Simbu !! Next articleIndia Collapsed For 107 !! Rohit Sharma Brutally Thrashed By The Fans ! !